We specialize in wedding flowers, including bouquets, centerpieces, and ceremony flowers. We also have some rental equipment available like ceremony arbors, draping, aisle runners, centerpieces, vases, cake stands, unique wedding signs, cake cutting knives, and much more. We aren’t just planners; we also design! It is our goal to infuse your wedding with your unique style as a couple. Let us create an ultimate wedding design just for you. 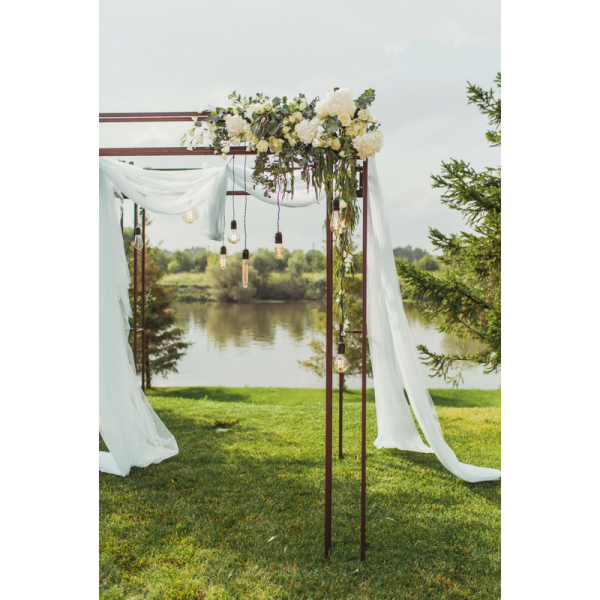 From votive candles to ceremony arches, we have a variety of decor items that you can rent for your wedding. This is also exclusice for couples that have booked with us on any of our wedding planning packages or floral services. We do the delivery, installation, and set up of all the decor and rentals the day of the wedding. At the end of the night we pickup and help with the breakdown. We do it all. We want to make things easier for you!